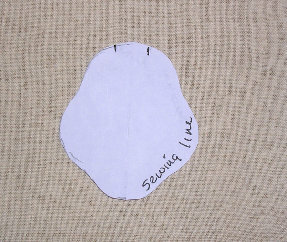 Trace around fabric template on doubled fabric and sew on line, leave open at top where indicated. Trim seams to 1/8 inch and turn right side out. 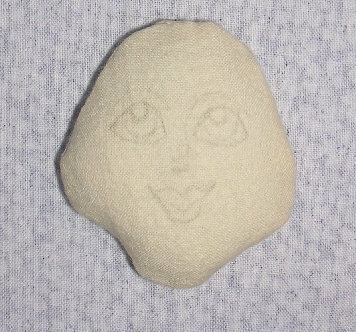 Use a small amount of stuffing, keeping the head flat. Color the face using the prismacolor pencils. 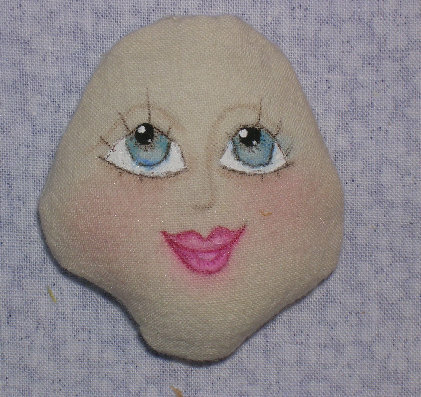 Apply blush to the cheeks and outline the eyes and add eyelashes with the micron or other fabric pen. Spray the face with acrylic matte gloss spray paint to seal. 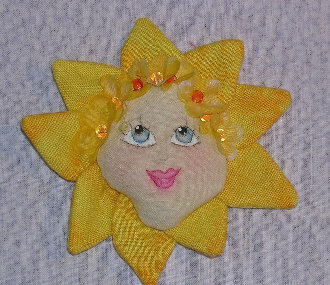 Here is a Cheerful Pin Doll Pattern for You!